Energize + depuff + contour. 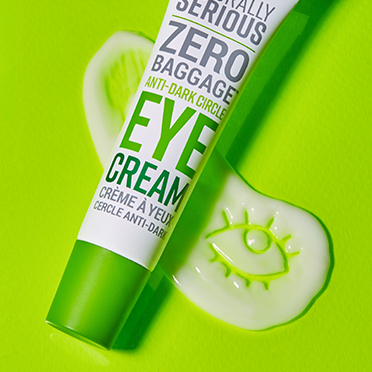 Say goodbye to the look of fine lines, dark circles and puffiness! Packed with brightening rice bran extract and caffeine to awaken and firm the look of skin, this advanced eye cream also includes hyaluronic acid, sodium PCA and apple extract to plump the look of fine lines and wrinkles. A patented Anti-Pollution Blend of 6 anti-oxidants (pomegranate, goji berry, grape seed, green tea, red tea and white tea) helps combat visible signs of aging caused by UV rays, pollution, free radical damage and other environmental aggressors. An exclusive Active Rescue Complex (edelweiss, imperatoria, swiss stone pine and ViaPure Coleus) leaves the eye area appearing youthful and energized. Increases blood flow, helping to improve the look of puffiness and dark circles while brightening the under-eye area. A natural form of vitamin E, helps protect the health of skin. Water/Aqua/Eau, Glycerin, Cetyl Alcohol, Pyrus Malus (Apple) Fruit Extract, Aluminum Starch Octenylsuccinate, Caprylic/Capric Triglyceride, Stearyl Alcohol, Propanediol, Caffeine, Sodium Hyaluronate, Tocopheryl Acetate, Sodium PCA, Hydrogenated Olive Oil, Maltodextrin, Aspalathus Linearis Leaf Extract, Camellia Sinensis Leaf Extract, Lycium Barbarum Fruit Extract, Punica Granatum Extract, Vitis Vinifera (Grape) Seed Extract, Leuconostoc/Radish Root Ferment Filtrate, Pinus Cembra Wood Extract, Citrus Aurantium Dulcis (Orange) Peel Extract, Olea Europaea (Olive) Fruit Oil, Olea Europaea (Olive) Oil Unsaponifiables, Cera Alba (Beeswax), Avena Sativa (Oat) Bran Extract, Coleus Barbatus Root Extract, Leontopodium Alpinum Extract, Peucedanum Ostruthium Leaf Extract, Cetearyl Olivate, Palmitic Acid, Stearic Acid, Sodium Phytate, Sorbitan Olivate, Xanthan Gum, Pentylene Glycol, Phenethyl Alcohol. Use ring finger to gently apply along the orbital bone.